" Chak De Phatte "
ADMIN NOTE: CAN YOU PLEASE NOT POST LARGE IMAGES? NOT EVERYONE HAS FAST INTERNET CONNECTIONS. 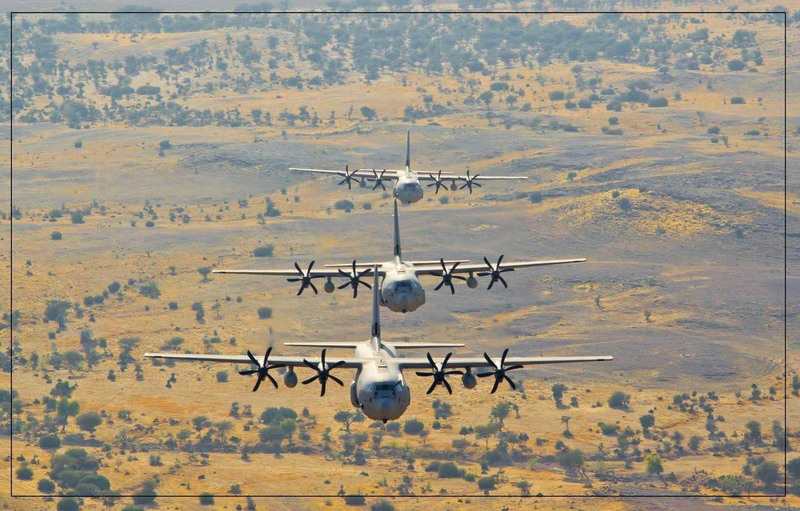 Indian Air Force C-130 Hercules (C) and two AN-32 aircraft fly past during Air Force Day parade at Air Force Station Hindon in Ghaziabad on the outskirts of New Delhi on October 8, 2011. Admin Note: Please do not post large images in threads. Not everyone has fast internet connections.